We here at Aplus Footwear are honored to be able to offer you one of the world's premiere collection of high quality sports footwear. Introduced in 1966, the K-Swiss Classic was the first all-leather tennis shoe and powered some of the world's best tennis players to major championship victories. For me, however it was simply a matter of Comfort. The K-Swiss Classic quickly became my only choice for use on the 100 degree hard courts of California. With more than 50 years experience, K-Swiss' modern brand has outfitted and inspired the next generation of players and entrepreneurs. These young leaders are at the forefront of today's culture, influencing and inspiring young people around the world and we are proud to offer you what we consider to be the world's best. Enough talking, lets go Shopping! The ST329 sneaker was the original tennis training shoe developed by K-Swiss, and has since become a cult-classic. 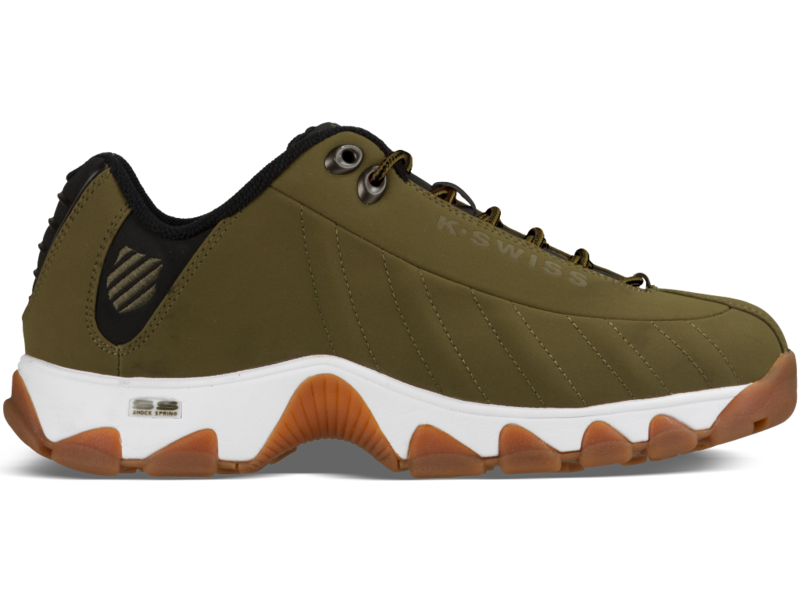 Designed and built to last, this staple sneaker showcases a durable rubber outsole, sturdy tread, and maximum comfort with a K-EVA cushioned midsole and full length premium memory footbed. Thanks again for stopping by my fanshop and I hope you were able to find the item you desired. Stop by often as new deals are announced weekly.